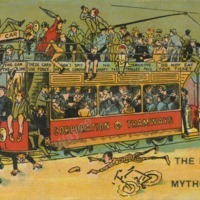 Postcard, with April 1910 postmark, caricaturing nightly chaos, presumably on a Saturday, when the last tram of the night left. 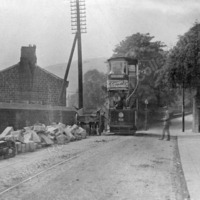 Halifax Corporation trams reached Mytholmroyd in 1901 and were withdrawn in 1936. 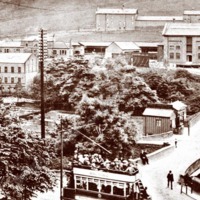 Looking in the Halifax direction with the junction onto County Bridge on the far right. 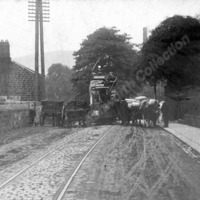 The Halifax Corporation Tramway reached Mytholmroyd in 1901 and trams ceased running in 1936. 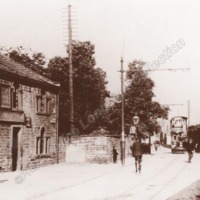 This is Burnley Road looking towards Halifax at the junction with New Road and County Bridge on the right. 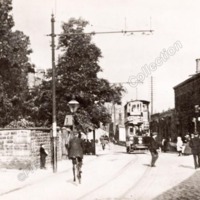 An early open top Halifax Corporation tram with external steps up is approaching. 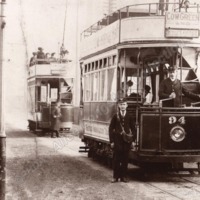 On the left is the Dusty Miller. 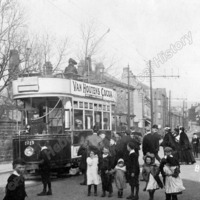 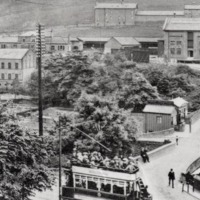 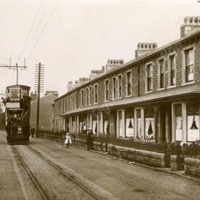 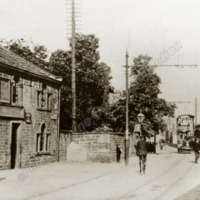 An open top tram on Burnley Road looking up Station Road to the large station warehouse, early 20th century. 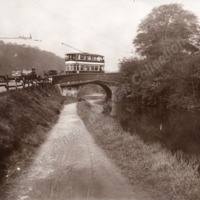 The Halifax Corporation trams reached Hebden Bridge in November 1901. 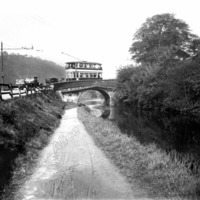 This postcard may have been taken to commemorate the inaugural run. 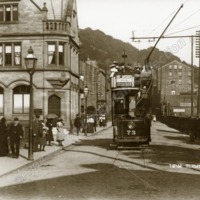 An open top tram on Burnley Road looking up Station Road to the large station warehouse, early 20th century. 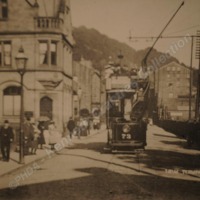 The Halifax Corporation trams reached Hebden Bridge in November 1901.